Violinist Julia Birnbaum is an avid orchestral and chamber musician who performs throughout New York City and beyond. Ms. Birnbaum, who started playing violin at age five in her home state of Maryland, received a bachelor’s degree in Violin Performance from Northwestern University under the tutelage of the 40-year Chicago Symphony veteran Blair Milton. Upon graduation, she won and completed a two-year fellowship with the Civic Orchestra of Chicago, the training orchestra to the Chicago Symphony Orchestra. She also completed the certificate program at Peabody Preparatory in Baltimore under the String Department Chair Rebecca Henry. Ms. Birnbaum has been the seated concertmaster of the Chicago Arts Orchestra and has performed with the Sarasota Opera and Lincoln Center Stage Piano Quintet, as well as the Hawaii, New World, Monterey, Marin, Vallejo, Pacific Chamber, Illinois, Dubuque and Rockford Symphonies; the Chicago Chamber, Lincolnwood Chamber, and Renovo String Orchestras; the Berkeley Chamber Opera, Opera Cultura, and Orchestra Gloria among others. 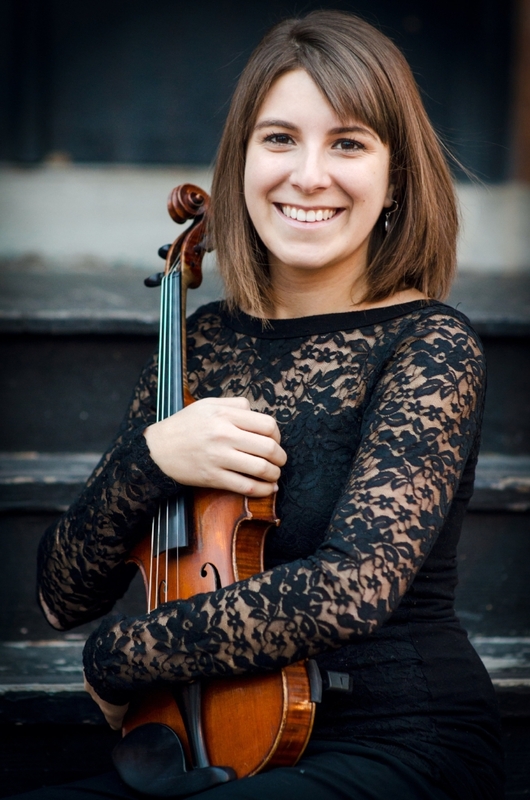 Ms. Birnbaum served as concertmaster under the late-Maestro Lorin Maazel at the Castleton Festival in 2011 and also attended the Aspen Music Festival, American Institute of Musical Studies in Graz (Austria), CIM's Encore School for Strings, and Indiana University String Academy. She regularly performs chamber music throughout New York City with a variety of chamber music ensembles.